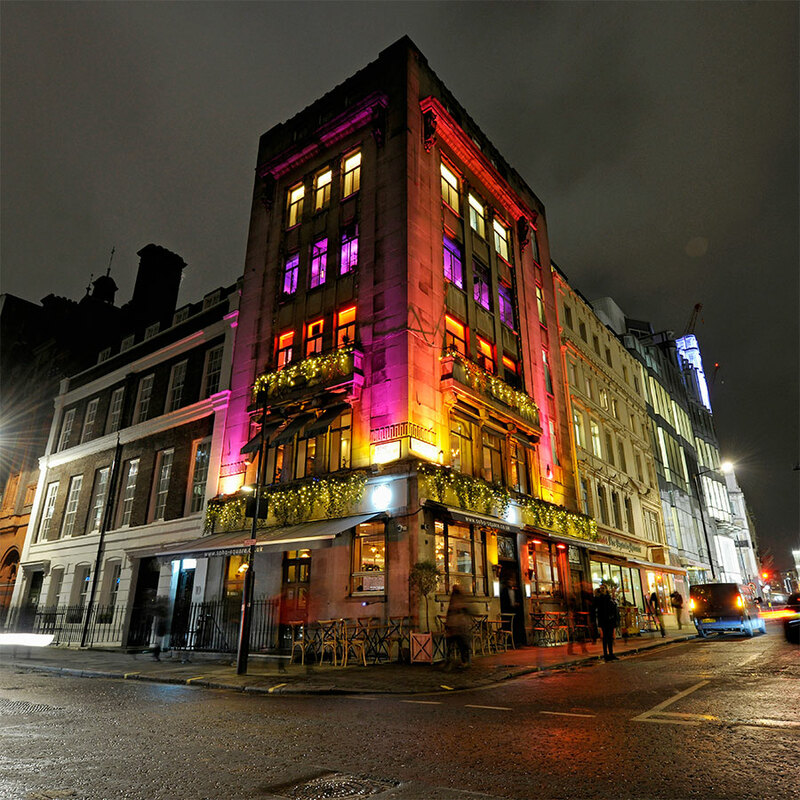 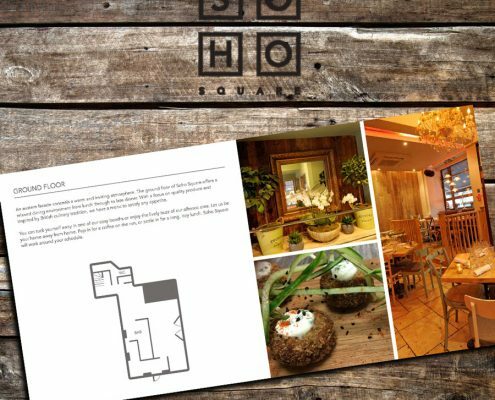 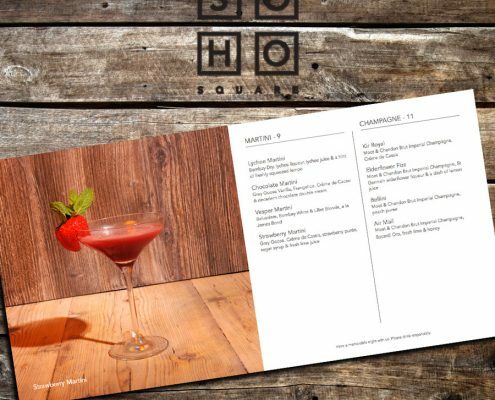 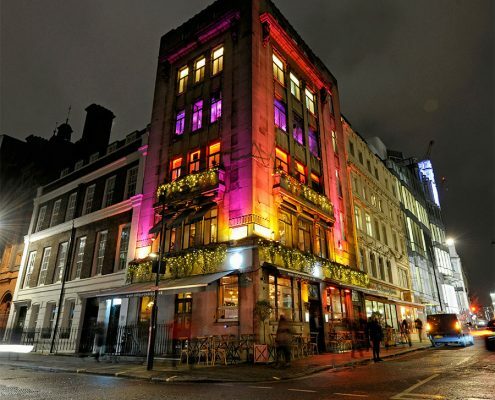 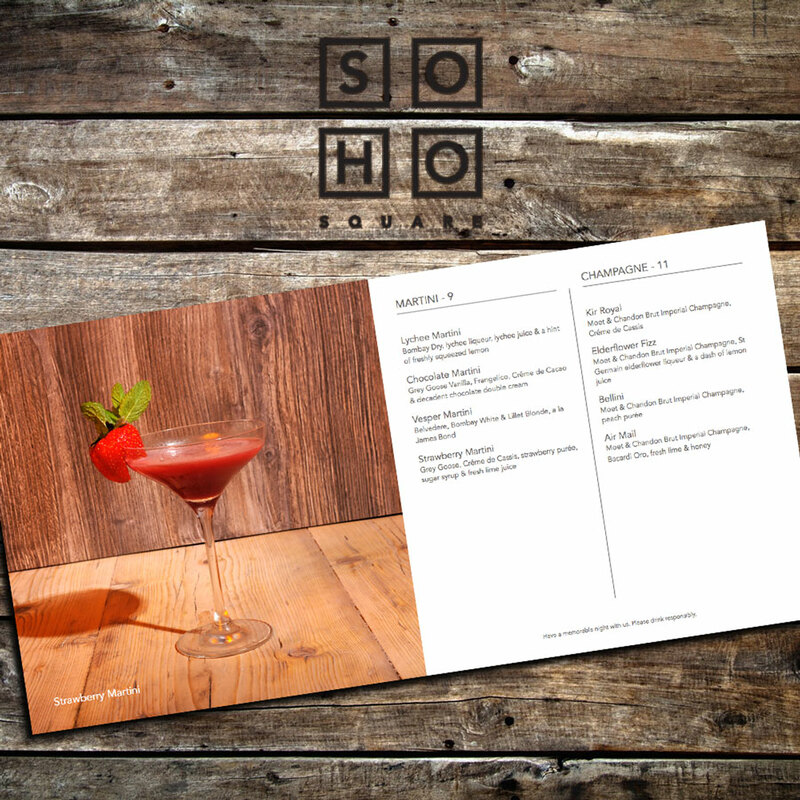 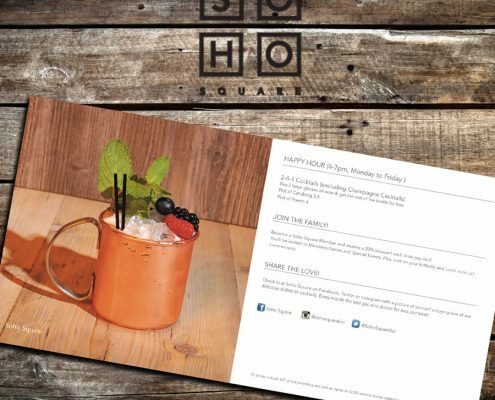 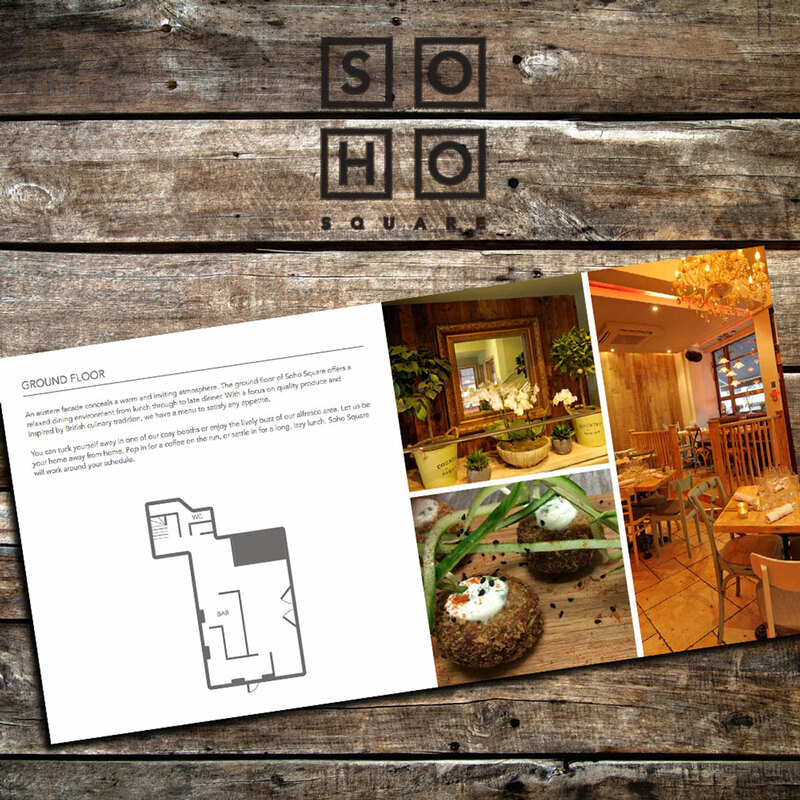 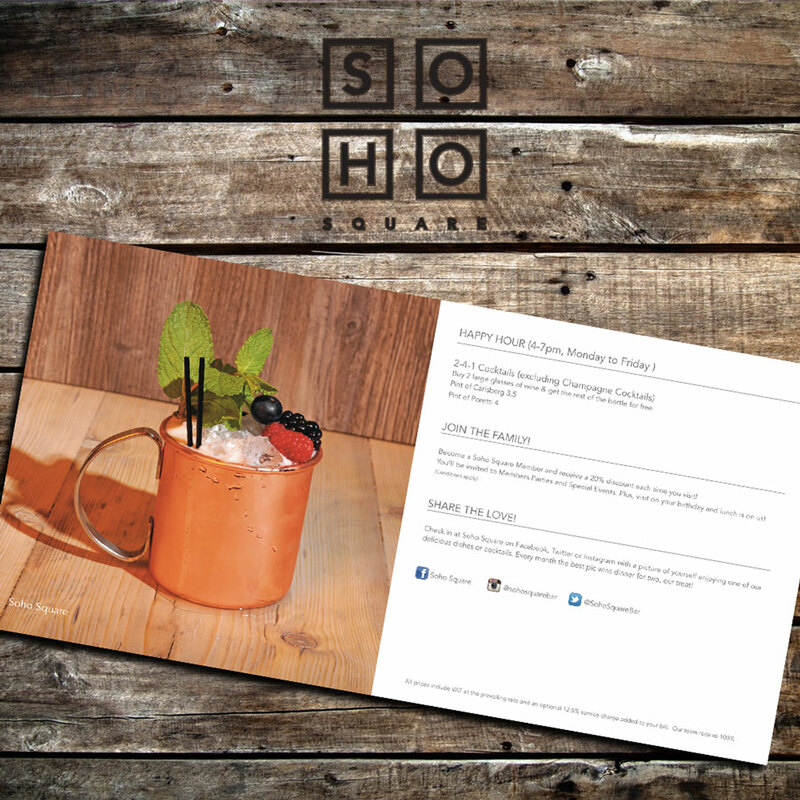 To introduce the Soho Square brand through a series of menus, promotional items and a comprehensive events brochure showcasing all four floors along with detailed floor plans. 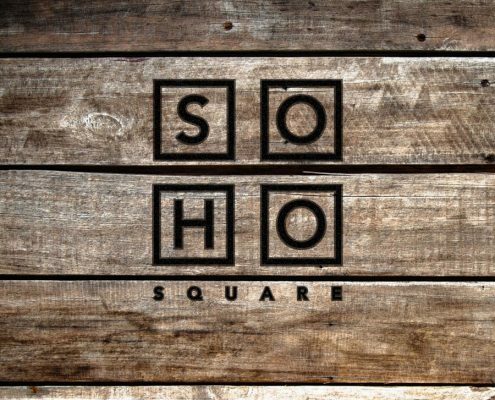 A rustic and burned look was applied to the logo and carried through rest of the branding. 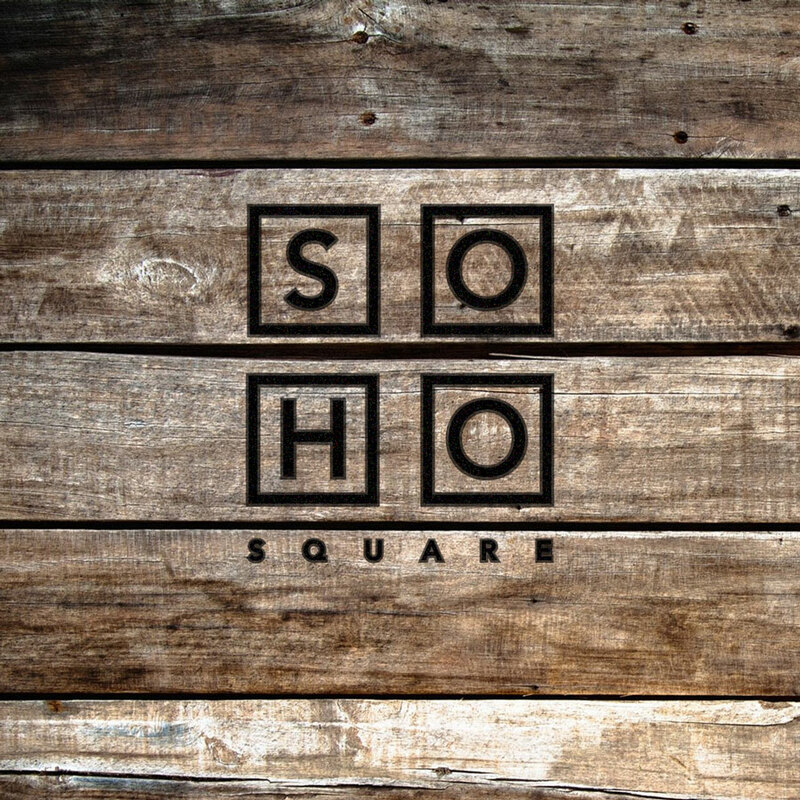 We played upon the name “Soho Square” by creating all materials in square shapes.